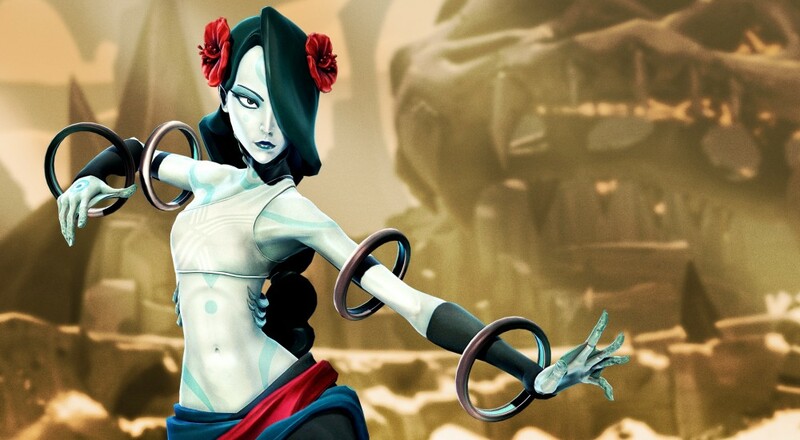 We've seen teasers of the first DLC character, Alani, for Battleborn, and it looks like we won't have to wait too much longer to get a chance to play her. If you picked up the Season Pass or bought the Digital Deluxe version of the game (which included the Season Pass), you'll be able to play Alani early starting next Tuesday, May 24. For everyone else, she'll be available on May 31. If you're on the PlayStation 4 and participated in the Open Beta last month, you will also get access to Alani on the 24th if you want. You see, you'll be getting a free hero key that you can use any way you want. If you want to use it to unlock Alani, then you can do so. If you want to use it to unlock some other character, you can do that instead. For everyone that hasn't picked up the Season Pass, you can unlock Alani in the game by spending 47,500 in-game credits. That's... that's a lot. It's quite odd that the shift in unlocking new characters went from something challenge-based to a straight up "just pay for it." Hey, makes that Season Pass seem even more tempting, right? As a quick note, the new Story mission that's a part of the planned five DLC packs is not a part of Alani's release. That, apparently, is coming sometime later. Finally, there's a double XP weekend starting today at 11:00 AM Eastern and ends 11:00 AM Eastern next Wednesday, May 25. During this time, you'll earn more Command Rank and Character Rank experience in all Story missions and Competitive matches. Page created in 0.3299 seconds.